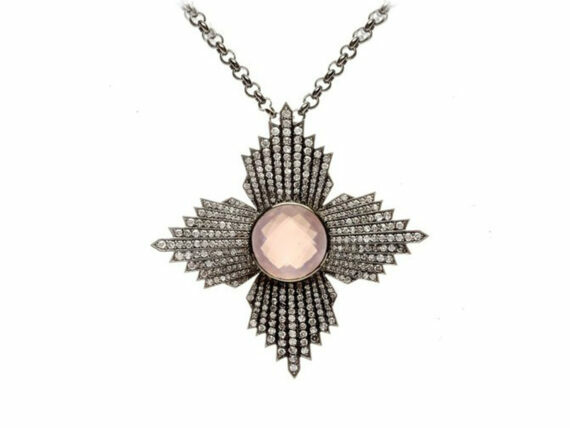 New-York based … Deborah Pagani imagines art-deco inspired pieces with a vibrant urban charm crafting a new realm of fine jewelry – one that redefines traditional perception of feminine energy and spirit. New York-born designer Deborah Pagani takes her inspiration from the feminine sensuality and physique. Her pieces voluntarily echo the natural extension of a woman’s beauty and charm rather than accessories pertaining to her outfit. Super light and body-hugging – her jewelry conveys a sense of movement and freedom. Inspired by her rich family history, the designer embarked on a personal mission to capture the essence of heirloom pieces in a modern way. The end result was her namesake brand that exhibits effortless finesse and a feminine allure or sculpted, harmonious forms. 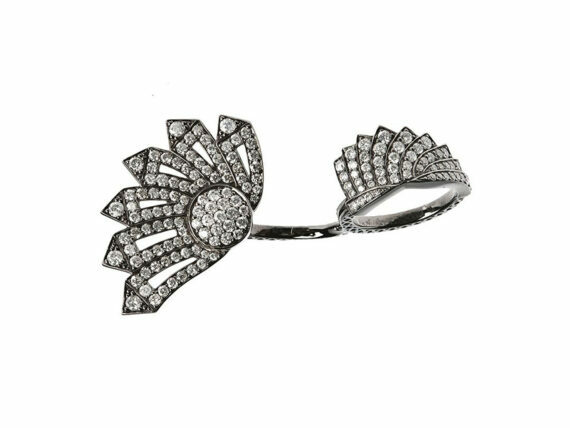 Deborah’s infatuation with the film noir led to her first eponymous collection – Queen Bee – reflecting the decadent exuberance of the early years of Hollywood glamour with big, statement pieces. Gradually, she carved a niche for herself in a recently flooded jewelry market with a nuanced approach that’s as classic as it is of-the-moment. All her collections have a prominent vintage feel that gives them powerful, mood-capturing hues. It is unusual to witness jewelry that is the material representation of literal architecture and the magical works of Gustav Klimt. 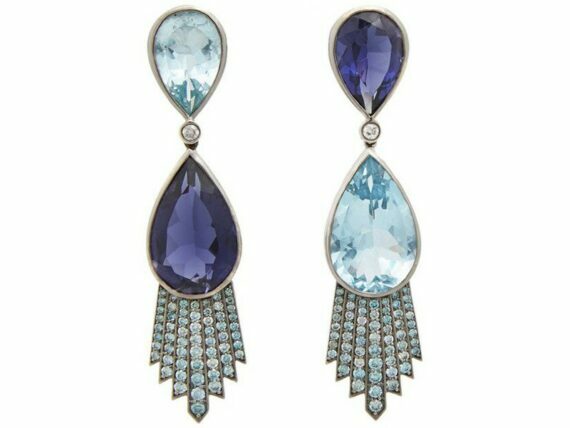 Her distinctive, darkly glamorous collections combine a wide array of materials with diamonds, rock crystal and emeralds for a sublime and luxurious feel. Clean, austere geometric shapes enhance the natural qualities of the precious stones the uses without interfering with their luminous beauty. Asian-inspired motifs blend with edgier designs in unique compositions in her line Family Jewels – for a highly-wearable and eye-catching look. Soft lines and rich embellishments permeate the Geisha collection. 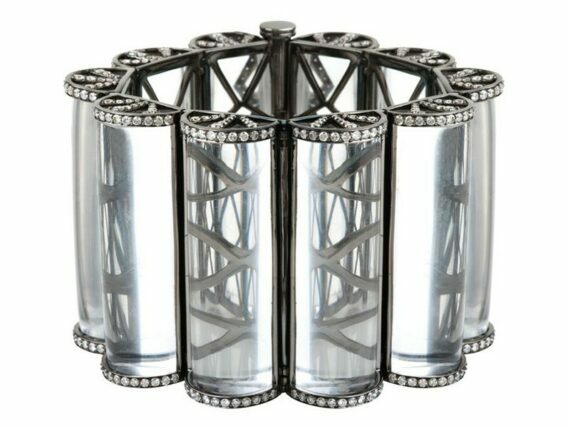 Beautiful, specially cut cylinders of rock crystal adorn her signature the Chow bracelet. Since the launch of the brand’s first line – Cleopatra in the City – she has captured the hearts and minds of her growing clientele with strong lines and bold combinations.